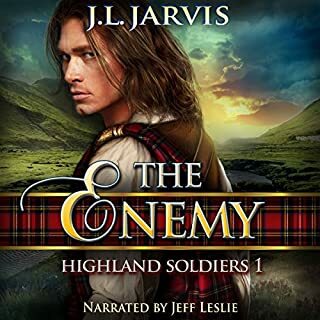 Alex MacDonell returns home from fighting for clan and king to discover that the girl he once hunted and fished with has become an intriguing young woman. Kenna has adored him for years, but he always treated her like a little sister. When her own brother dies from battle wounds, Kenna is left with no family or home. Highland soldier Callum MacDonell battled lowland Covenanters at the service of the king. Now charged with hunting an assassin, his journey would lead not to justice but to a murderer's passionate Covenanter sister, Mari McEwan. Betrayed and abandoned by the man she loved, Mari faced judgment by a tribunal of her people, demanding she name the father of her unborn child or be exiled from everything she knows. A very entertaining read over all. Mackenzie Cooper has had it with romance. On her way home from another blind date, arranged by her well-meaning sister, she is caught in a snowstorm. While maneuvering the twists and turns of the icy road, Mackenzie loses control of her car and crashes into the rocky hillside. When a rugged Scotsman pulls her to safety, Mackenzie is sure she must be hallucinating. On the run from a dangerous man, Ava Sutton flees to the Isle of Mull off the coast of Scotland. Masquerading as a titled, English lady, Ava must convince the cynical and darkly handsome chief of the Macleans of Aros to wed her before the devil tracks her down. Tor Maclean, the new chief of Aros Castle, has sworn off marriage after his first wife tricked him into it. Despite his efforts to scare away the Englishwoman, his father arranged for him to wed, Tor is drawn to her fire, courage, and beauty. Duty-bound to seek revenge, Broderick MacConnaway, son of the Thane of Dunkeld, lives haunted by memories of his lost wife, Aisling. Forming an alliance with the Lochlann family presents its own trials, but if the marriage allows him to fulfill his vengeance, then so be it. Even if the guilt over Aisling prevents him from ever loving again.... But when sinister intentions surface and Amabel is captured before she has a chance to reveal them, Broderick is forced to see past the deceptions and begin another campaign of vengeance. Loki Grant's first memories are of living in a crate behind an inn in Ayr, struggling to survive. Clan Grant saved him from his lonely existence and took him in as one of their own. But though the Highlands have become his home and he loves his adopted parents, Brodie and Celestina, Loki feels lost. Part of him is still that scrappy wee lad who relied on his wits to survive the streets, and he is not sure he belongs. 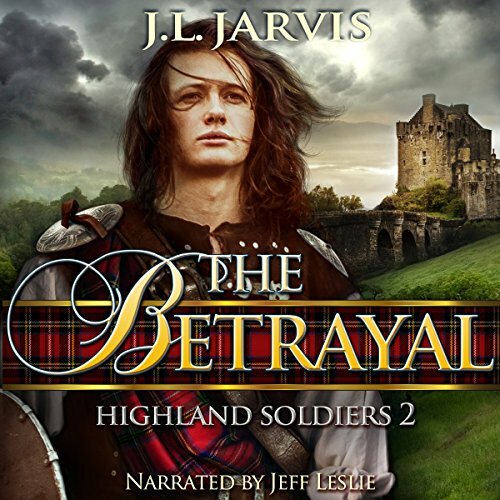 On their last night together, Highland soldier Duncan MacDonell swore to love his Jenny, and she him, giving themselves to each other with only the Highland moon as their witness. Jenny's father arranged a marriage for her, and made sure that she could not say no. She had never dreamt of disobeying her beloved father's wishes, but an arranged marriage was too cruel a theft of her dream. Left with no choice, she would betray her true love, and he would never know why. Now home, the sight of Jenny in another man's arms rouses a fury in Duncan he has never known, even in battle. Forced to face the woman who betrayed him, he fights to hold back the pain that sears his scorned heart. As Jenny struggles to honor her duty to family, she cannot deny her heart's longing. Driven by love, Jenny takes a stand to win Duncan back. But their passion will come at a terrible cost.